We have finished week 21 of the pre school curriculum called islam is my life, this time learning more about weather and seasons. 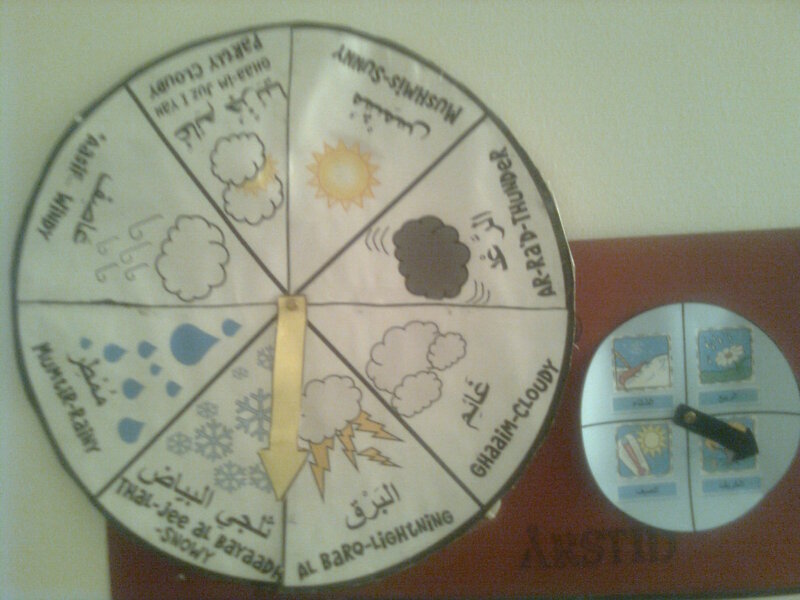 We already had our weather wheel from IBB for a while and also a smaller wheel from a muslim child with the seasons in arabic which we are using for our circle time. 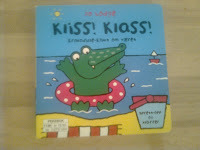 I introduced this weeks theme with a book I picked up from my parents house on our visit this summer. 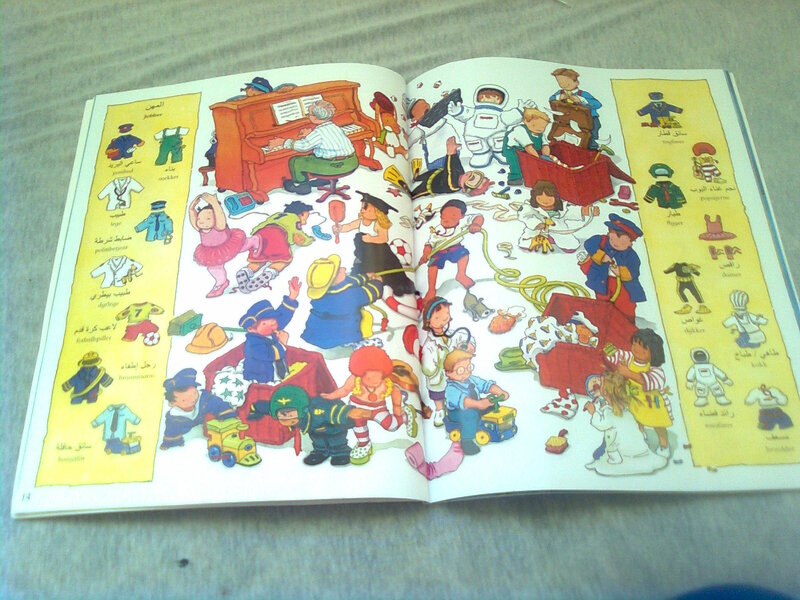 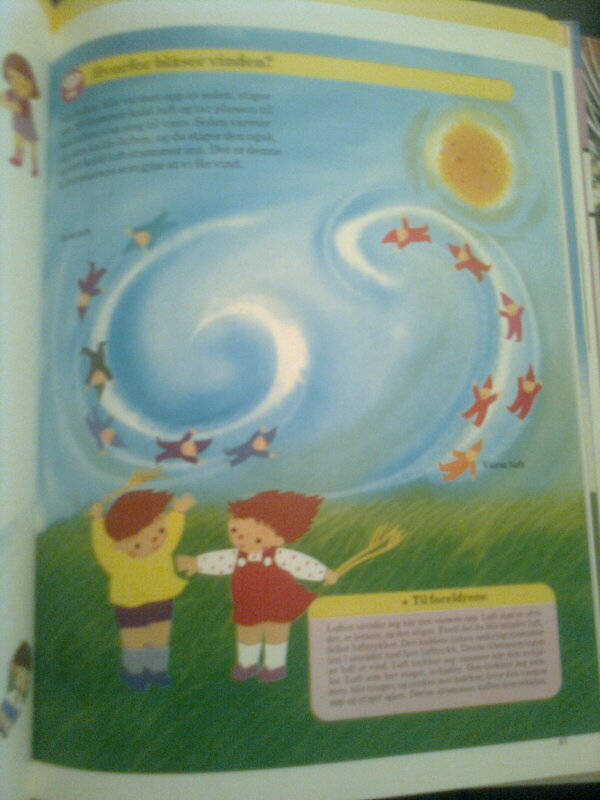 This book did actually my mother bought for me when I was very young, I remember looking in it when I was younger. 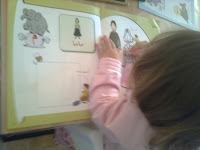 The book is very simple and perfect (in my opinion) for preschoolers and kindergarten, and maybe even for older children too. 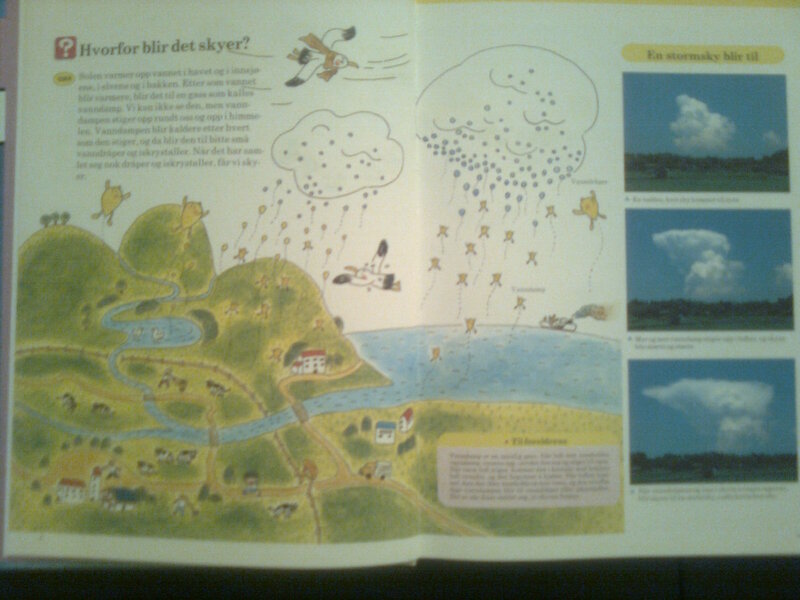 In the back there are also a number of suggested activities to do regarding weather, like f.ex spraying wather in the sun and watch the rainbow colors, how great! 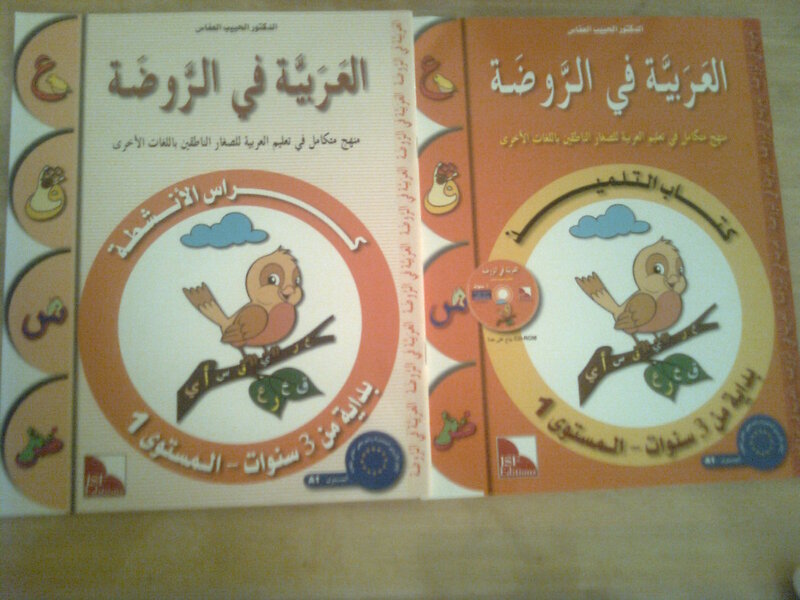 I tried to find more books of this series but it seems they are not in sale anymore, subhanAllah, finally a nice book in our language and they have stopped it.. qadrallah masha Allah. 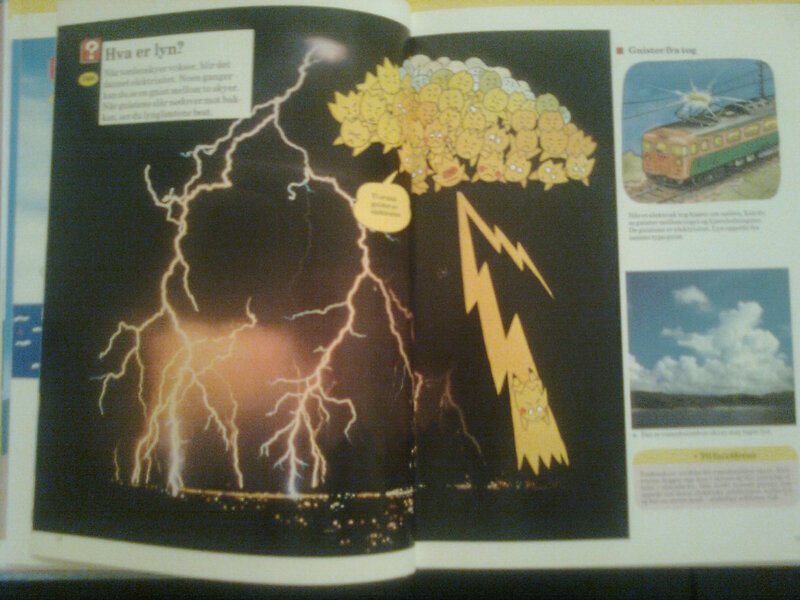 Anyways, we learned a lot from it (including me). 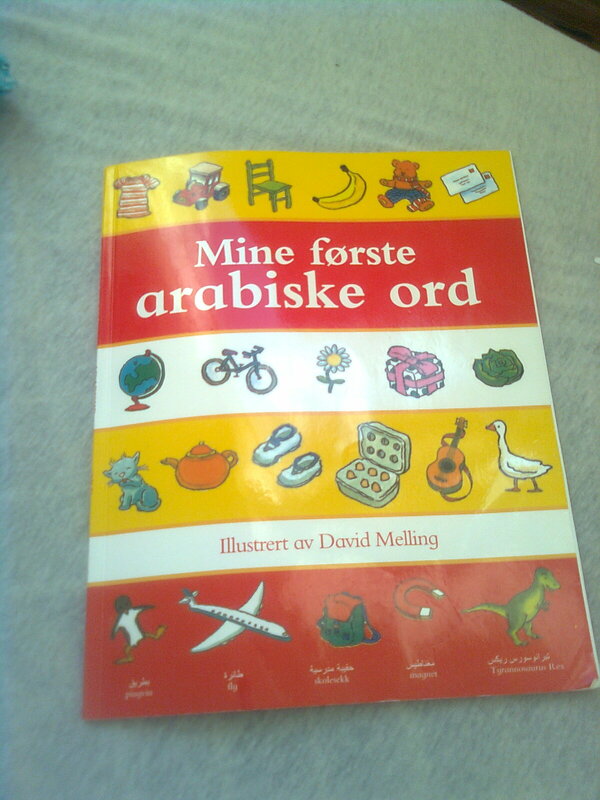 And if sisters in Norway have this book somewhere, just bring it out, you will find it very nice insha Allah! 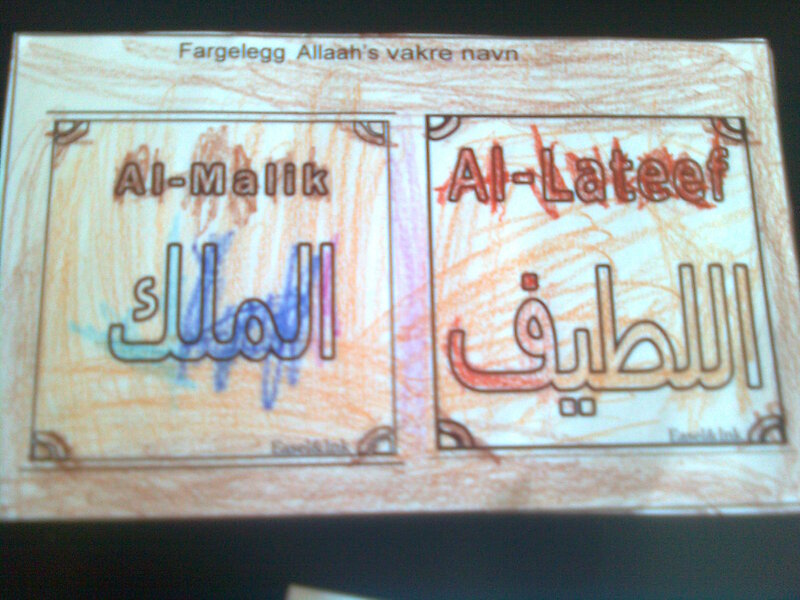 it as usual, masha Allah. And I got so impressed with their writing this time, I read to them the questions and they answer, Adam writes alone with some spelling masha Allah, and for Roqaya I dot the letters for her to trace after me. 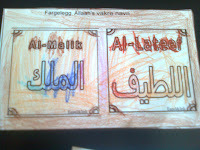 They really seemed to enjoy the focus, and we had to take a break during our lesson due to something else and when we started again they were right back on track masha Allah. 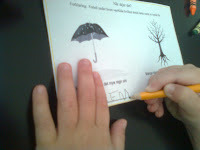 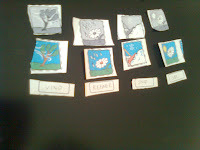 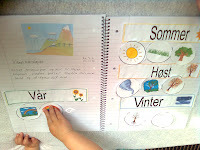 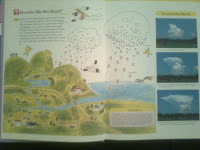 We used some of the activities from the minibook and pasted in our nature studies book (we just started that one). 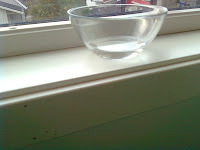 We did this evaporation experiment after the idea from Umm Maimoonah. (And just mentioning this makes me realize we forgot to use our weather study unit from Umm Tafari!, subhan Allah, our lap top crashed so I have another one and I guess thats the reason I forgot it- it was not in my folder - we will save up for later insha Allah) They were really exited and within the first hour I guessed they checked it like ten times ;) But after a few days all the wather had evaporated and they were like, oh- yes now it has evaporated! 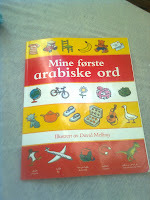 So fun to hear them say such words (in norwegian of course- but still fun). 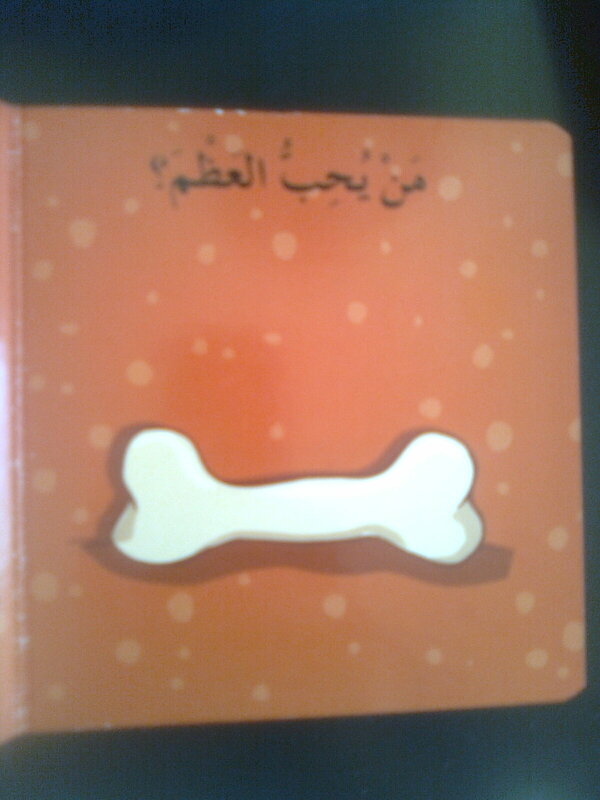 We read in aqeeda (book of sheikh Yahya) about Allahs aboveness. Adam was a bit bored when I tried to ask questions about how do we know..he was a bit like: "we know this- its in the Quran"... Well, well, alhamdulillah, Im just sincerly glad he knows! 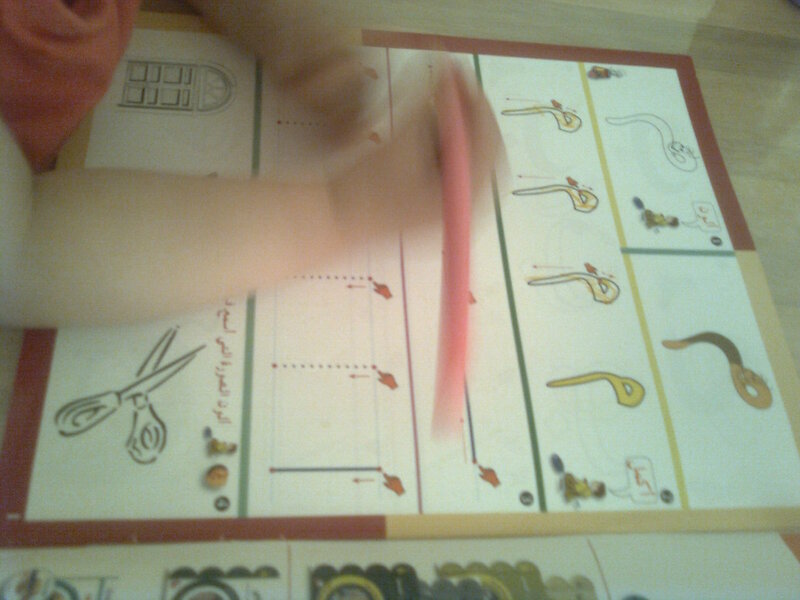 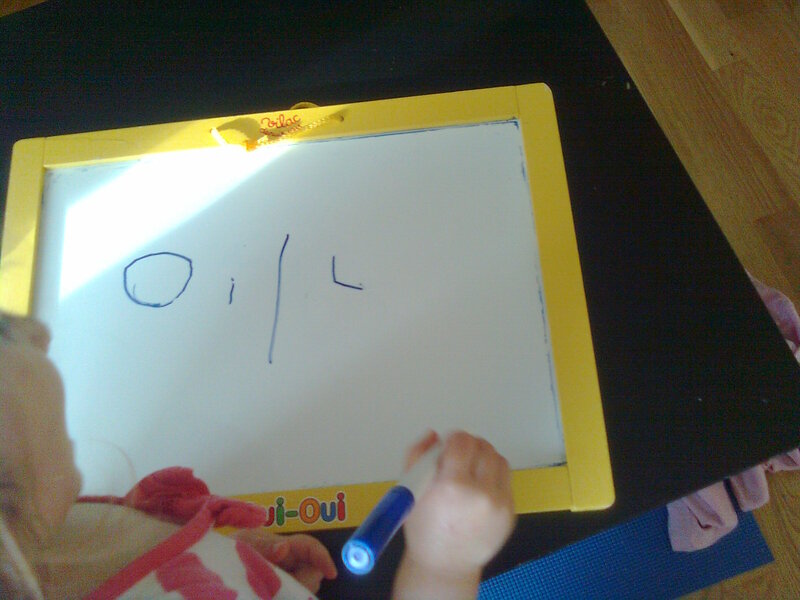 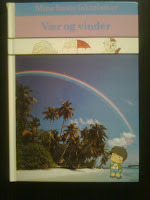 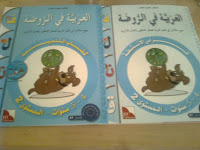 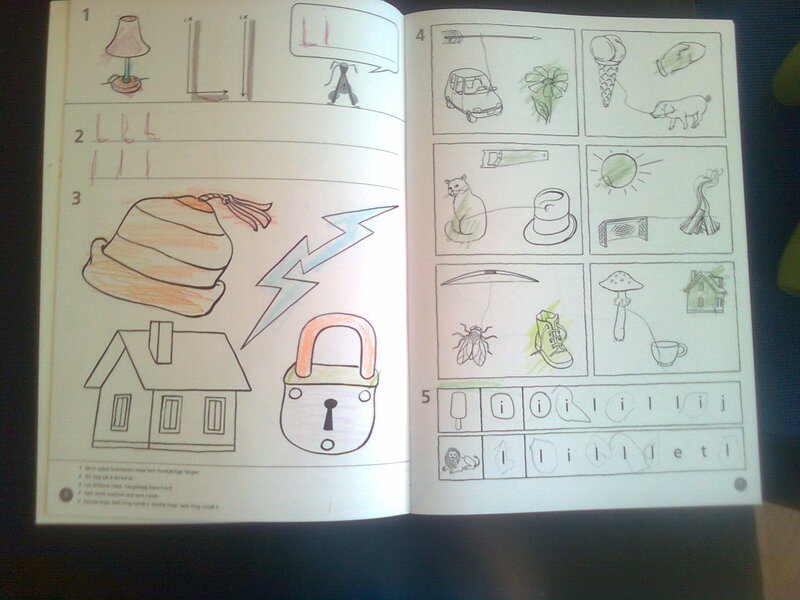 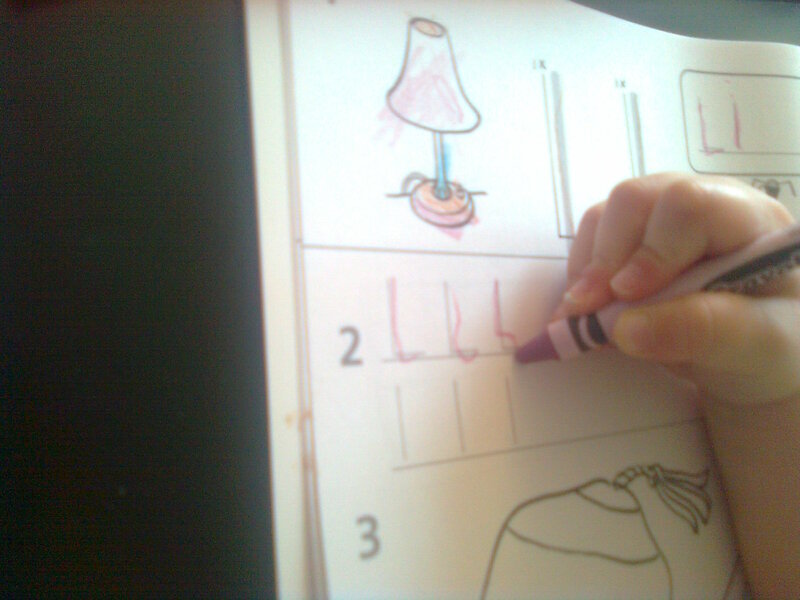 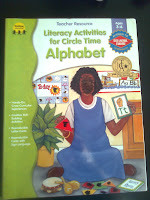 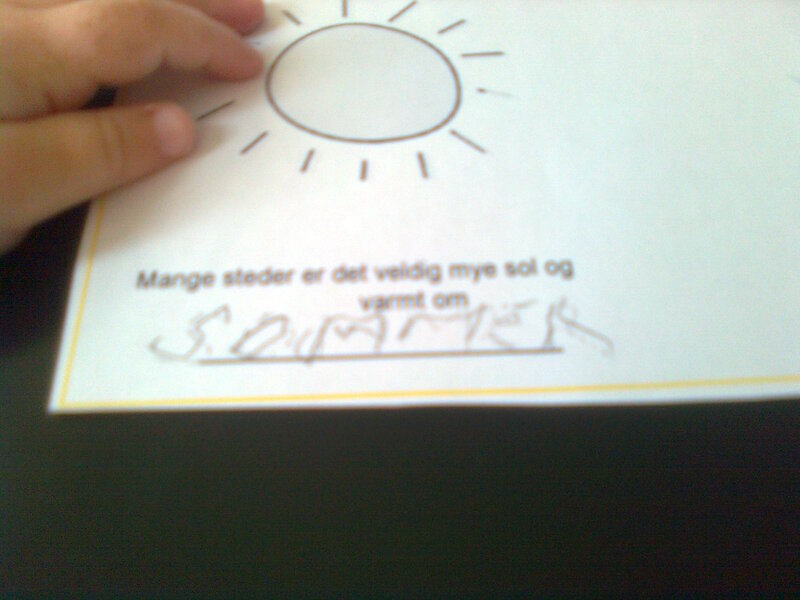 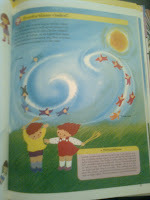 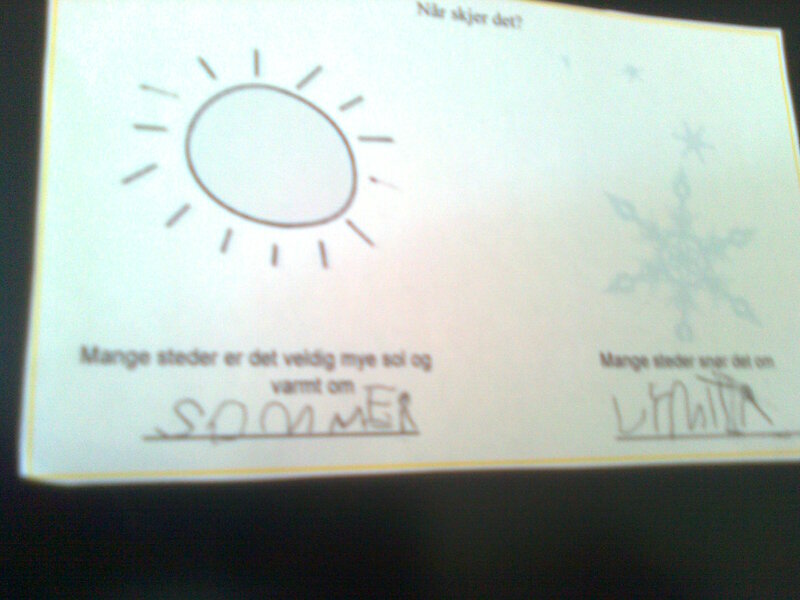 For language, norwegian Roqaya learned the letter O, and she did the workbook. 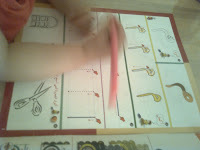 Adam joined us and wanted to do the workbook this week to, so that was fine of course. He did a lot of writing from his own initiative and he wanted to try to read everyday masha Allah. 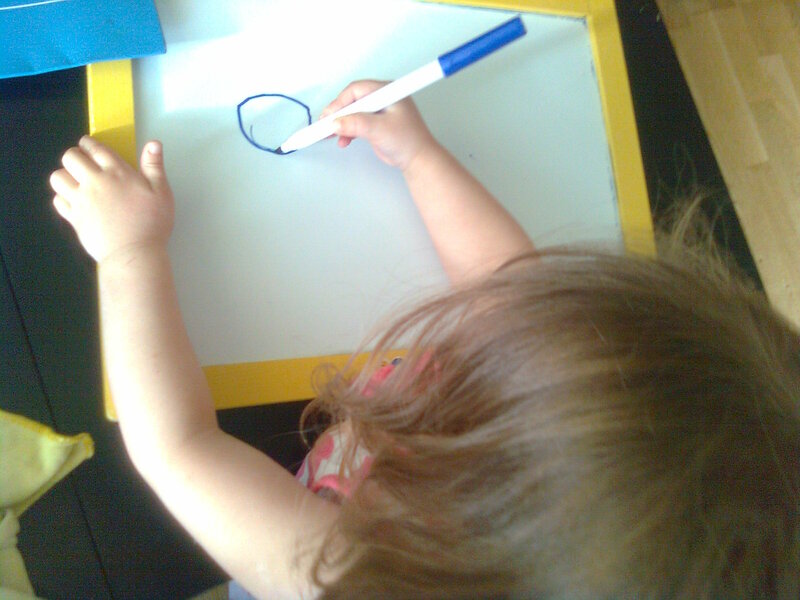 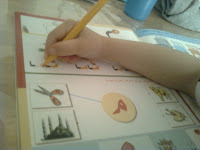 Roqaya gets very inspired when she sees him writing and I got a few pictures of her while she gave it a try too. 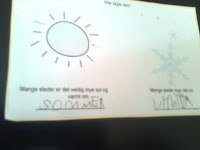 She is writing the last weeks letters, O, i and L.
And Adam from 4-5 year olds. 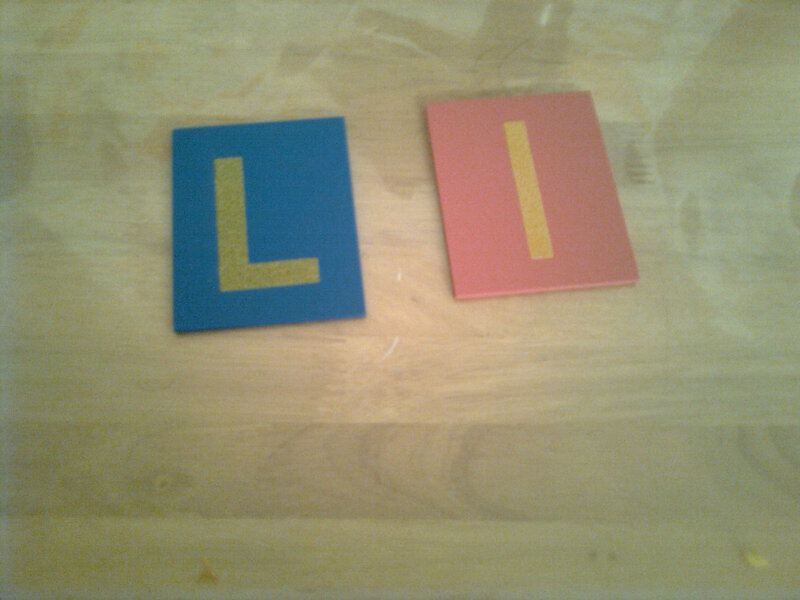 These books just teaches how the letter looks like in the beginning of the word, but I also shows him the middle and end form of the letter as he truly seems ready for this. 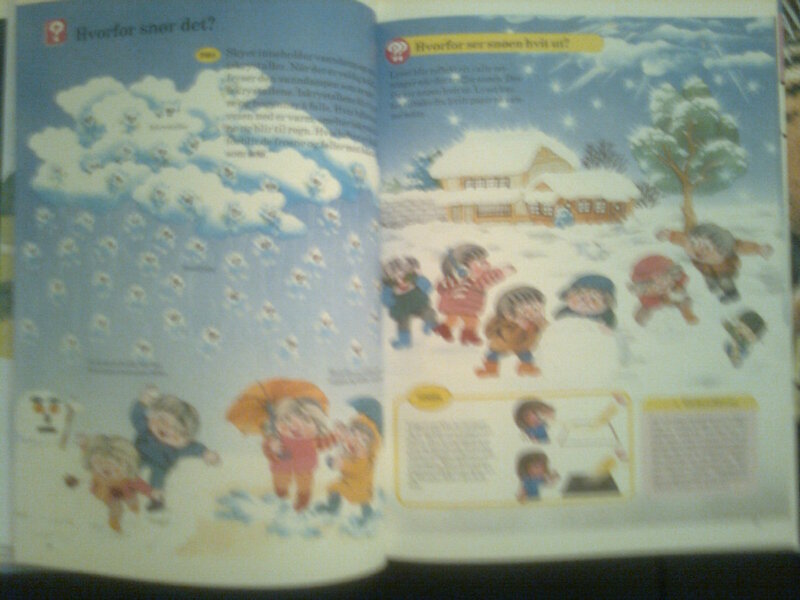 So they did the first few pages. 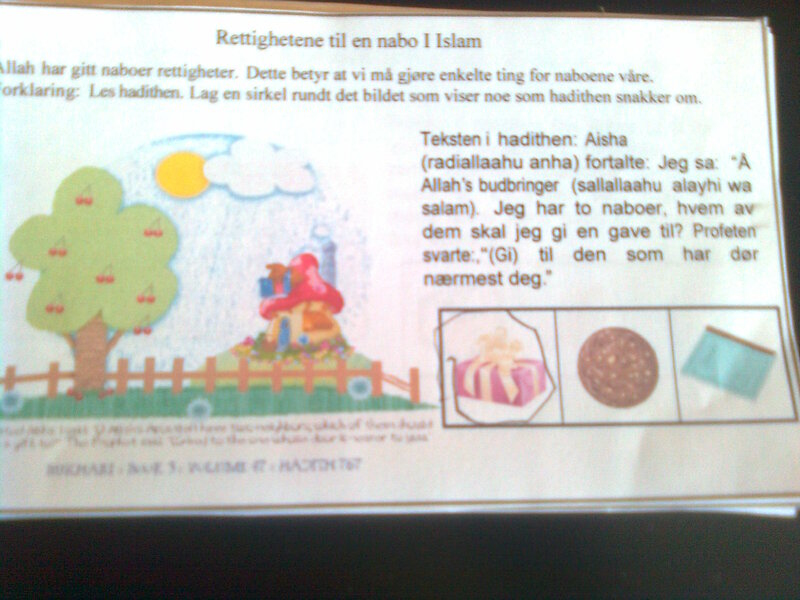 Some of the activities are not islamically appropriate, f.ex draw your mother, draw eyes and nose on this face etc but these we will skip and do something else. 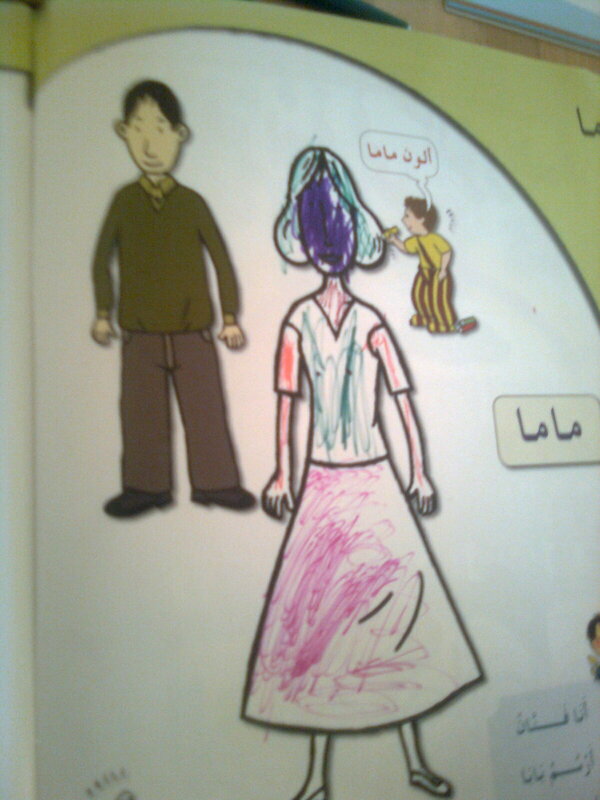 Roqaya actually herself defaced the mama in this activity, she was only to color her. 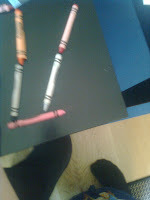 The letter focused on were mim, and we used sandpaper letters too, and we did write it in the air, and they made mim together physically. 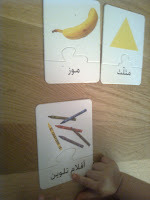 We also used these puzzle cards, recognizing meem and sorting the cards with meem and without meem, and learning the vocabulary. 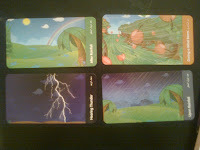 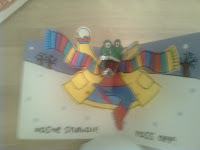 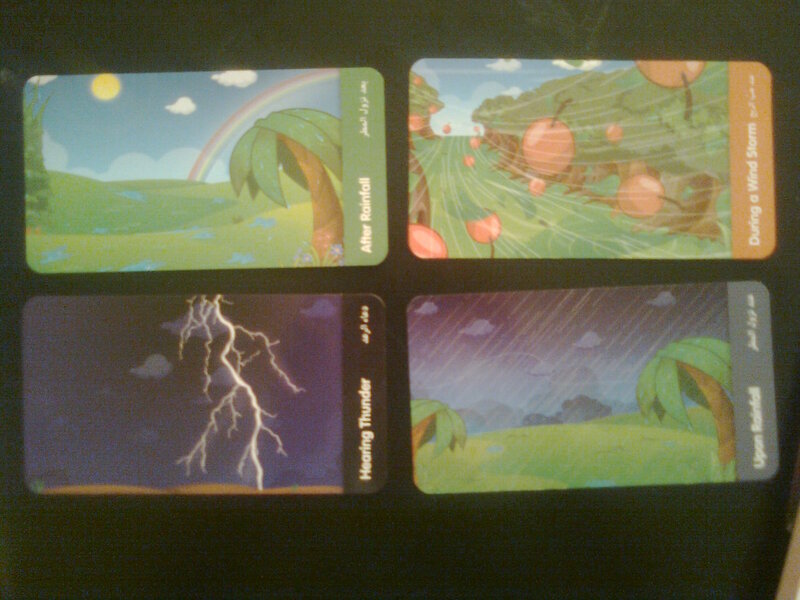 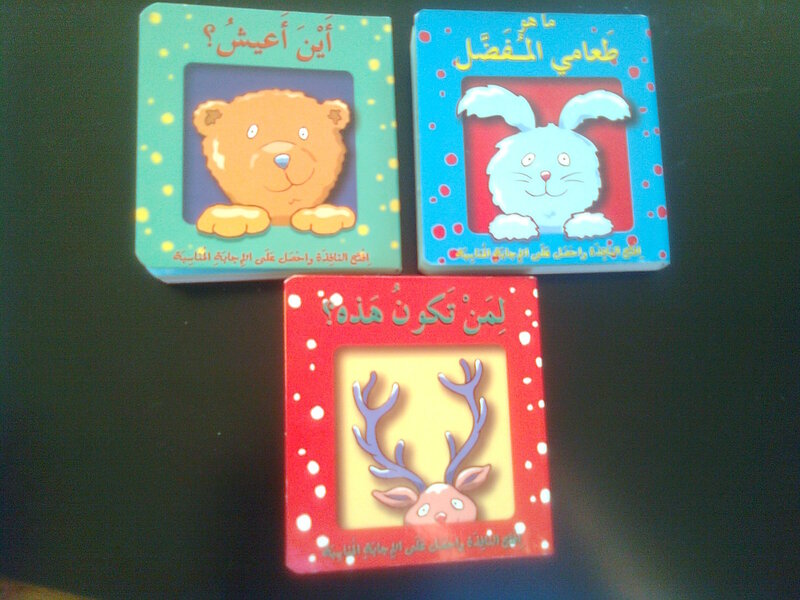 Yes, and for our circle time we used these dua cards for weather from the learning roots game. They only knew the one we say during rainfall and the others were new to them, so this was an introduction. 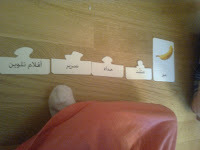 I thought them the meanings of the dua, translations of some of the arabic words and then we placed the cards and I read the dua out load and they were to recognize which dua it were and grab the correct card, it was fun and they learn to recognize the different ones, but has not memorized them yet. 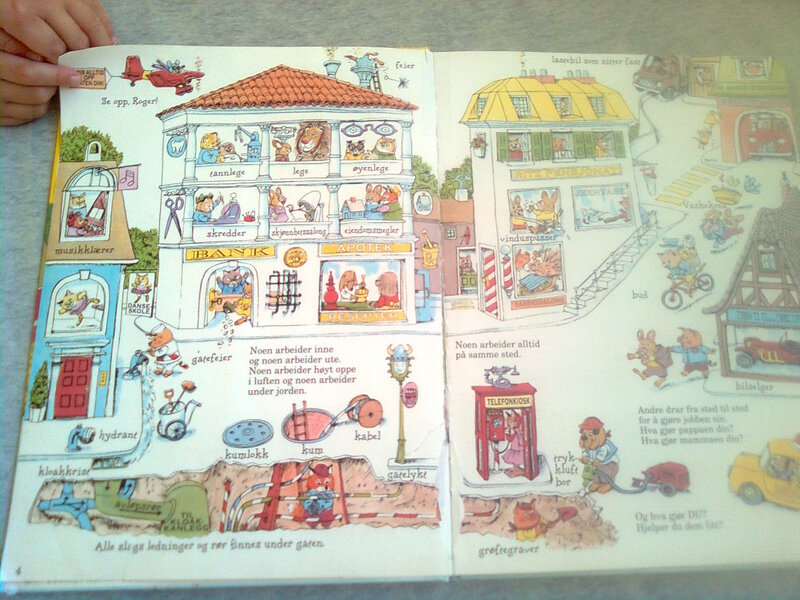 We also kept reading this book over and over (and over). 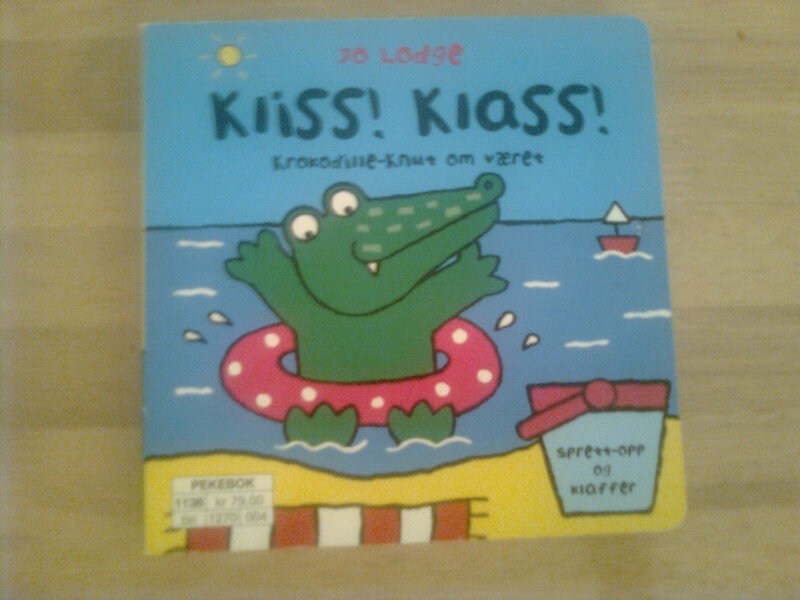 Its a lift the flap book at a pre school level and it seemed like they found it boring until we flapped the last page and the crocodile jumps up and they both screamed and laughed.. they loved the unexpected ending! 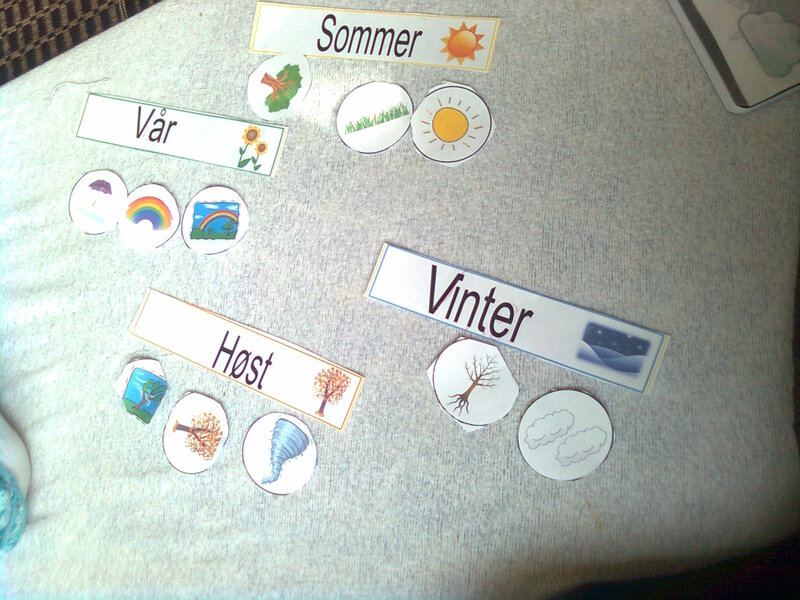 We have finished week 20 of the curriculum, subhan Allah, sometimes I feel like we just started and that time goes by so fast, it feels strange to know that soon our preschool curriculum will be finished. 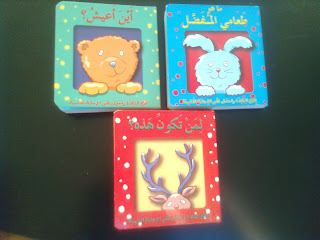 The new curriculum will be kindergarten level for Adam, Roqaya will follow with the same subject as him for social studies and islamic studies, but at pre school level and Im creating a pre school leveled curriculum for her regarding language to go along insha Allah. 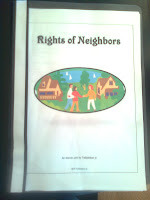 This week we learned about neighbors and their rights. 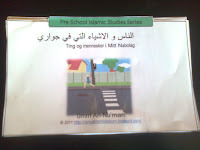 For once we did not start of with the mini book but we started with the Islamic Neighbors unit from TJ. 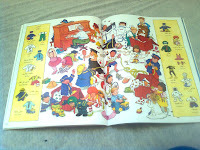 And we read this together so many times through the week, they really loved it. 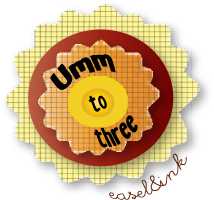 To keep it to their level we did not do any writing activities, we only did it orally. 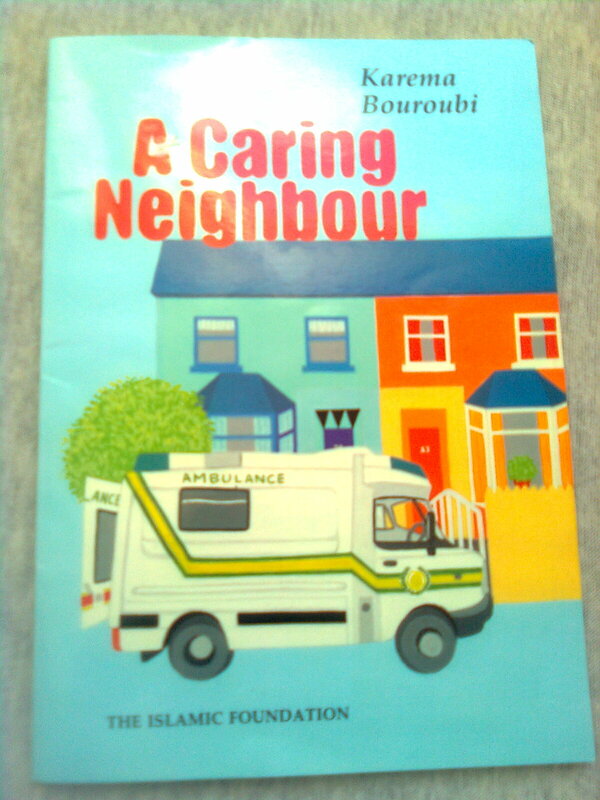 Especially the story called "the non muslim neighbor" got very popular. 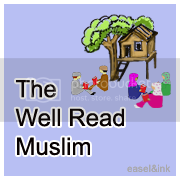 The story is mentioned in Hilya tul Awliyaa and it is about Hasan Al Basree (rahimu Allah) and his amazing treament of his chistian neighbor. 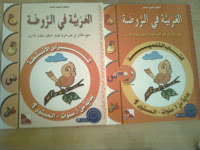 The story short is that his neigbor had a toilet on the roof of his house and it used to leak through a hole and into Hassan Al Basrees apartment, Hassan just placed a bucket beneath and it continued for 20 years. 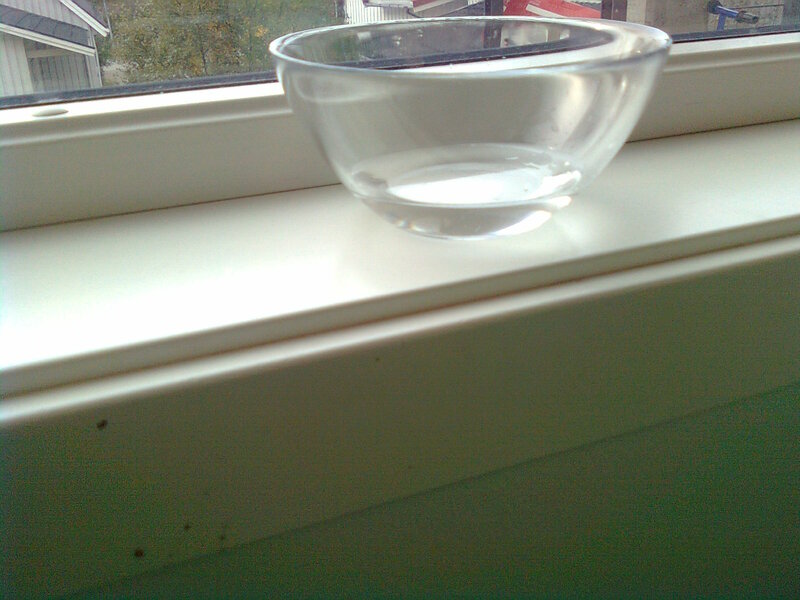 He fell ill and his neighbor visited him and noticed the bucket with urine leaking and asked for how long he had tolerated this harm from him. 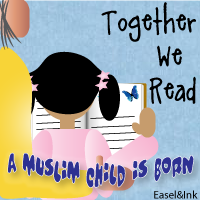 When Hassan replied for twenty years the christian accepted islam. 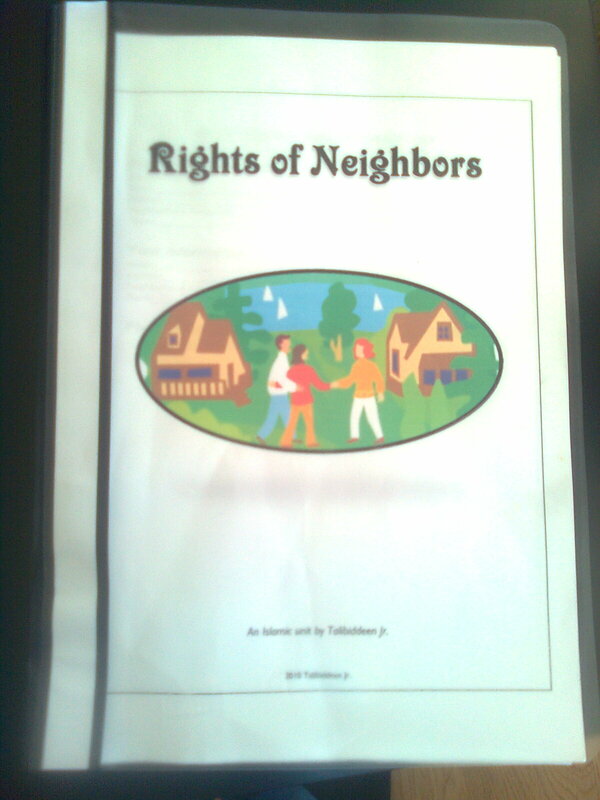 We learned about the rights of neighbors and they gave examples of good and bad neigbors. 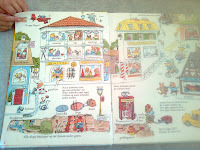 We live in a building with many apartments close so we have a lot of neighbors of all kinds. They gave expamples of good neighboors: a boy who always keeps the door open for us, and make room for us in the elevator, while bad neighbors were the ones often playing load music in the weekends. 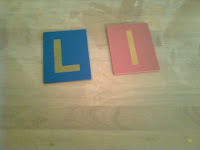 And we had a little talk about running and stamping in the early mornings, who usually does that? 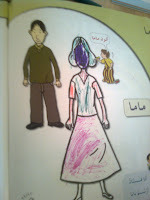 And they smiled and agreed that this has to stop. 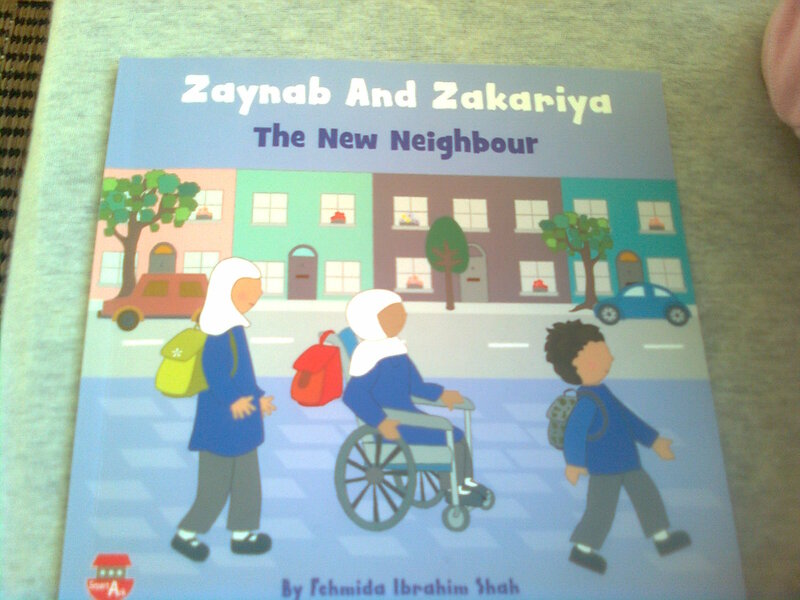 We also got a new nextdoor neighbor just last week so this was a good upportunity to make something for them and step by and welcome them, and so we did, alhamdulillah. 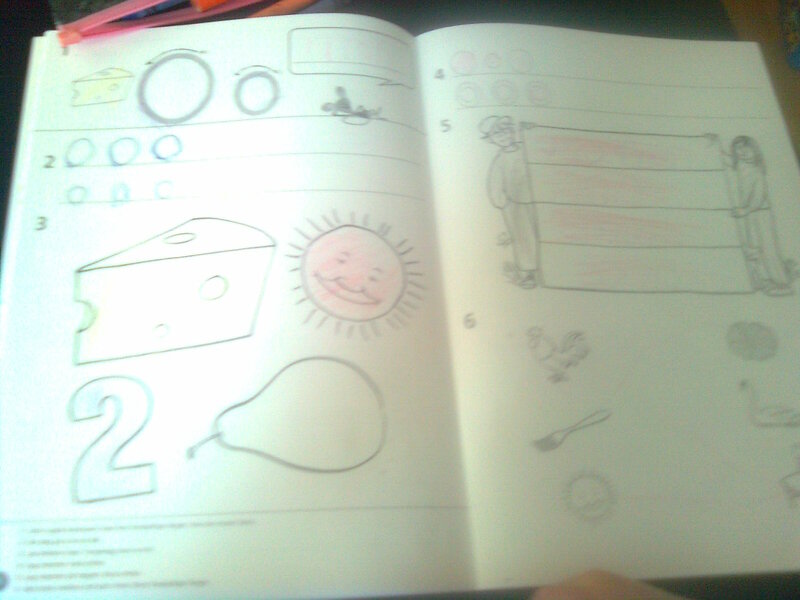 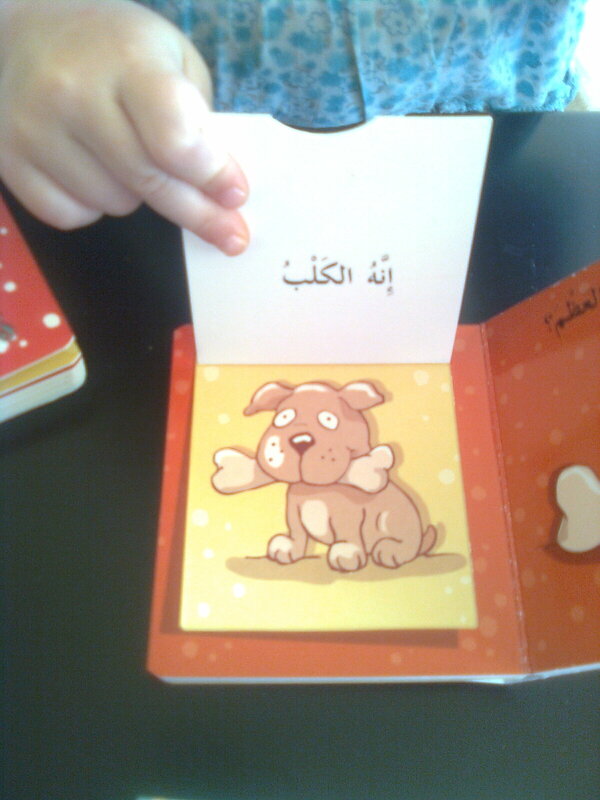 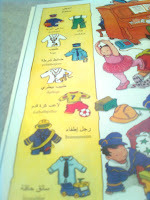 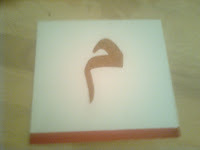 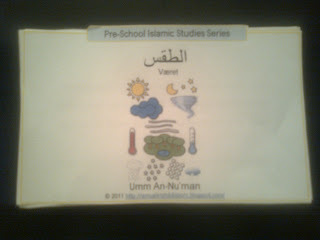 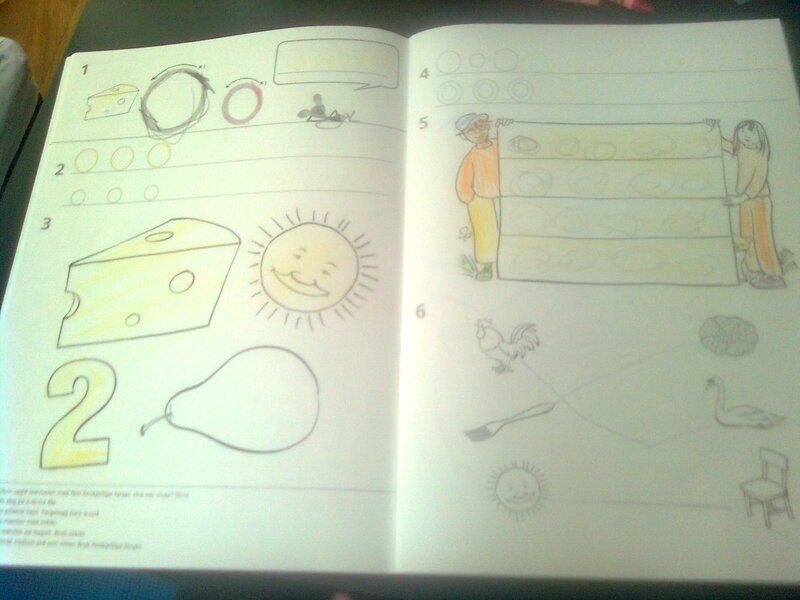 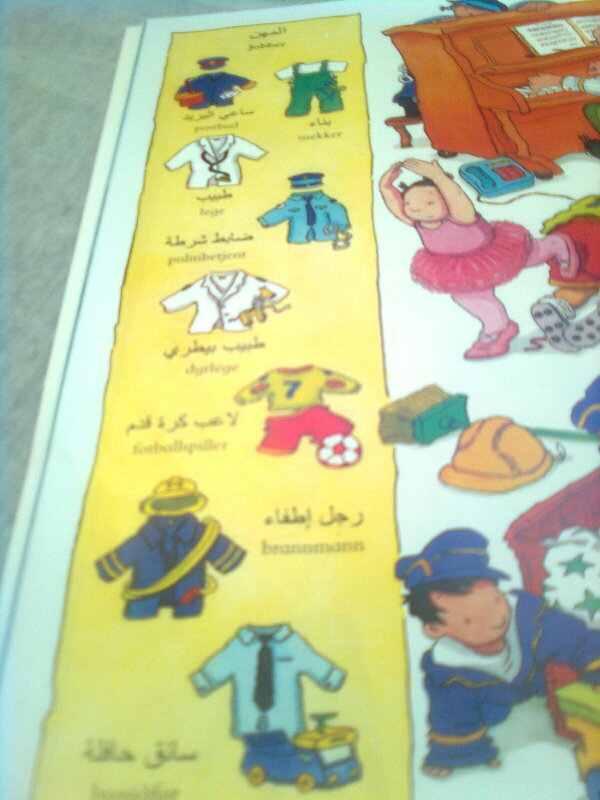 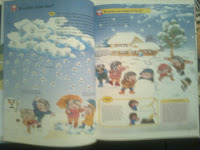 Then we did our mini workbook from Umm An`numan masha Allah, they are all so great! 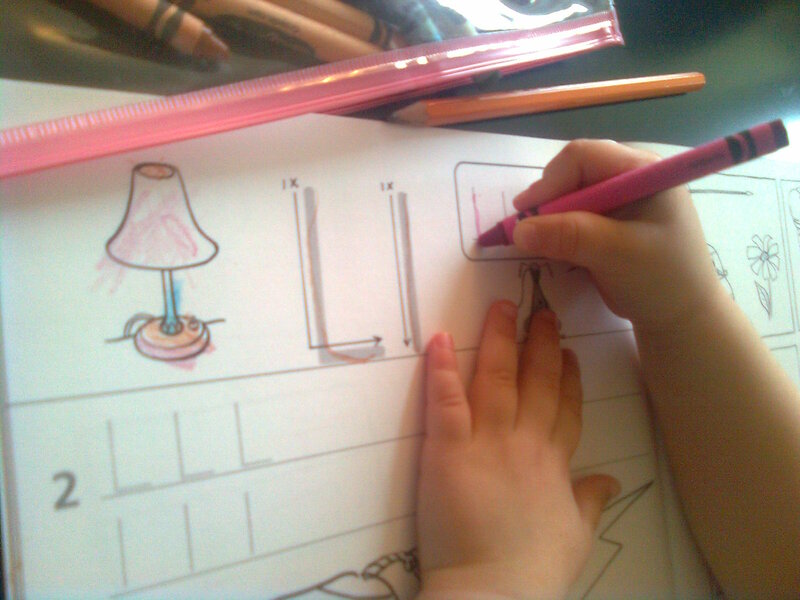 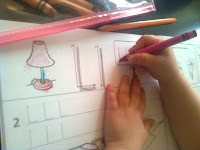 Here is Roqaya tracing were the workes go for work. 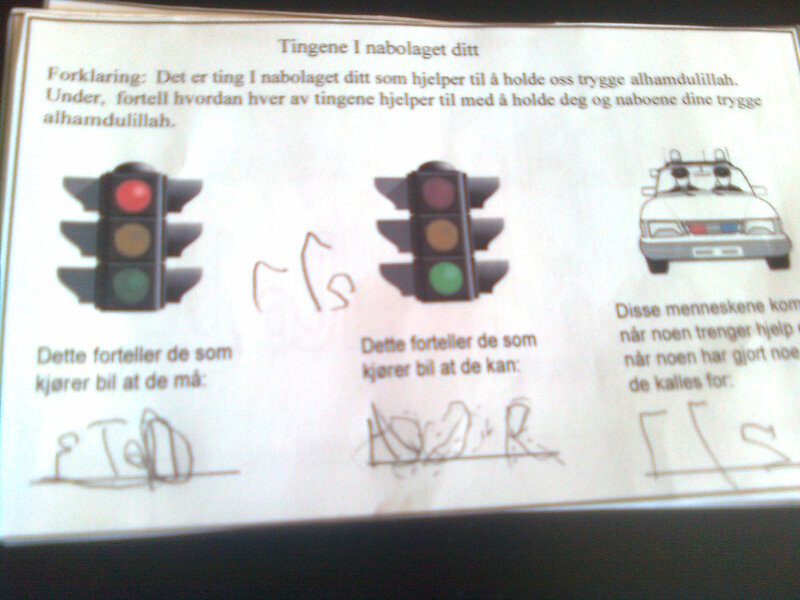 And Adam writing (in norwegian) what the signs say the cars should do, and the number for calling the police. 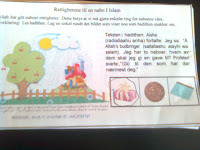 Here they should incircle which of the items the hadith were talking about, masha Allah, a very nice activity. 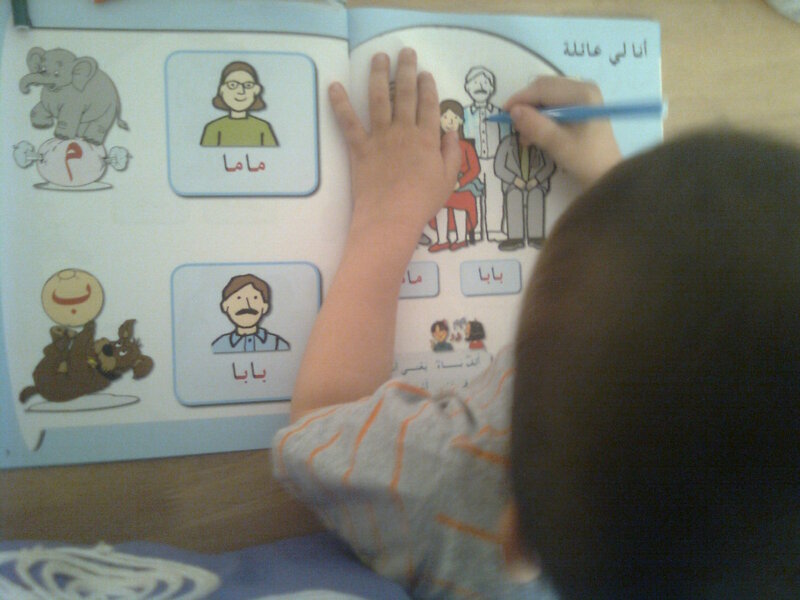 They usually listens carefulle to both ayat and hadith, masha Allah, but this acitivty were very good to make things more visual too. 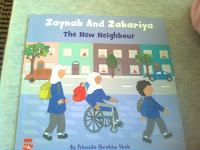 The Zaynab and Zakariya book they were very exited about when I brought it as they "knew" Zaynab and Zakariya from the recycling book. 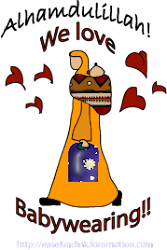 That reminds me that I have forgotten to write a post about our recycling theme from before ramadan, will do in near future insha Allah. 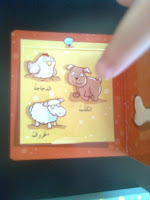 And this book were very nice and and teaches more than only to be kind to neighbors masha Allah, another great Smart Ark product. 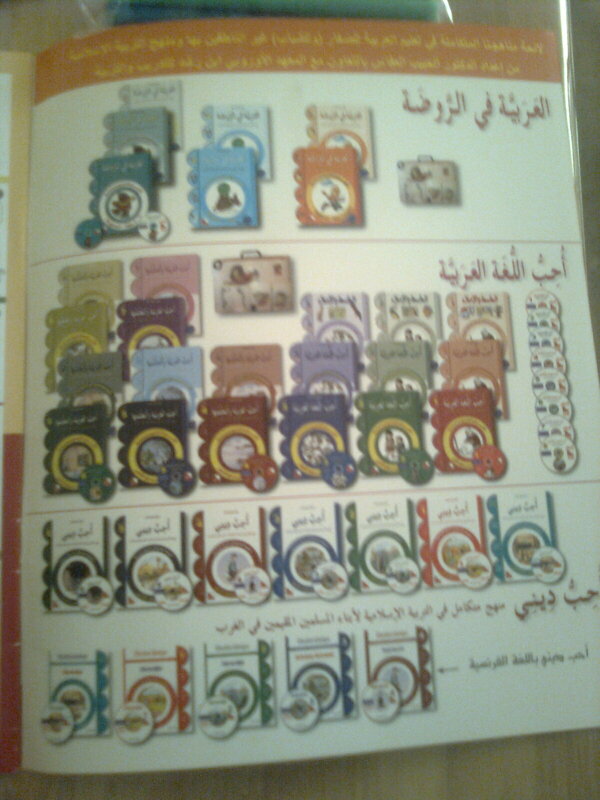 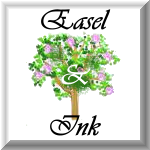 I have been very satisfied with everything from them! 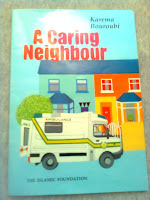 The other book tells a sweet story of a girl that helps out when the lady next doors falls ill and have to spend the night at the hospital. There were just something small Im not sure if is correct in it, about reading ahadith together to bring comfort to the sick person that was not present. 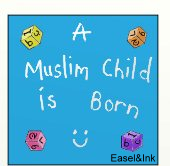 My knowledge is limited and as I dont know of this from the sunnah I did not read that to my children, and as I say I dont know if this is correct or not, but just beware of it if you read this book. When I bought this workbook it was ment for Adam and just for his sister to do activities that suited, but it happend to be to easy for him and perfect for her qadrallah. I could not look inside it before I bought it and I choosed just from the text what I though would be fitting, but in norwegian the choices are limited and this is actually first grade of primary school level.. who would have guessed..
Adam actually made this L (capitol and standard) with his crayons in boredom. 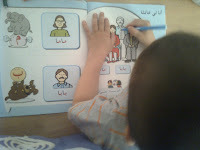 No need to say that he is off that workbook and we will just continue reading with him and I have to dvelve more into suiting beginner writing exercises to give him more challenge so that he will have fun and develop too insha Allah. 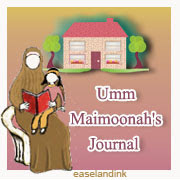 With Quran we did morajaa and now we follow the eaxample from Umm Sara and let them draw out of an envelope which surah to be recited, this works very well. 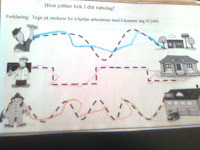 We did not put it at the wall yet as we are moving and things has to come down from the walls and not up right now. This were the "schooling" we got to do last week, in addition our week contained a lot of outdoors acitivy and coloring and building with lego blocks. 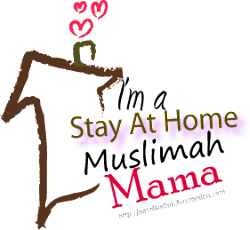 We did not do everything on our lessonplan, but alhamdulillah, they learned some nice lessons about neighbors and we had a good time and we will have time to fullfill it Allah willingly.